The bush: in Australia no word resounds like it, and none is harder to define. Far from a conventional history of it, this is an idiosyncratic, highly original and insightful journey through Australian landscape, history and culture. Don Watson sees the bush in a way that neither romanticises nor decries it, evoking the heroic labour of the white farmers as well as the cost of that labour - on the Aboriginal inhabitants, on the land, on the farmers themselves. Most powerfully, he probes our legends, from the axeman to the swagman to the grazier, looking deep into the stories we like to tell and those we’ve avoided telling, in history, literature, art, in the national myth and political debate. 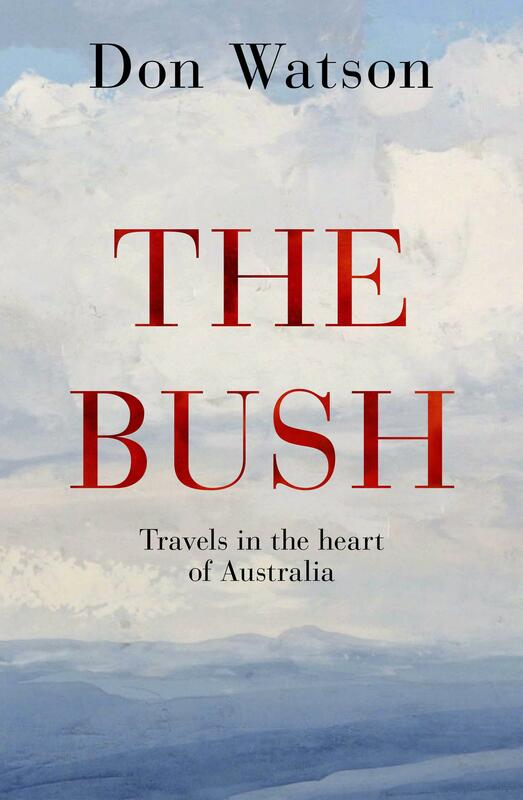 The Bush is intelligent, warm, witty; it’s full of fascinating anecdote, beautifully written, addictively readable. Its view is at once vastly informed and intensely personal. Don Watson is of the bush himself, having grown up on a dairy farm in South Gippsland. This book is part memoir, part travel document, his meanderings through Australia acting as a springboard for comment in much the same way as his rail travel did in American Journeys. No one who reads The Bush will afterwards look at this country in quite the same way.